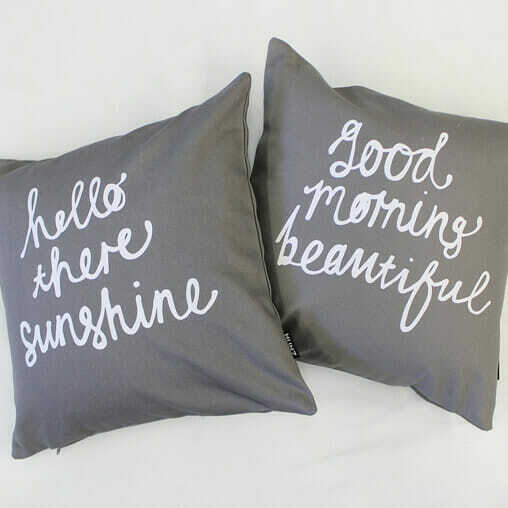 These two lovely pillows covers say “hello there sunshine” and “good morning beautiful” in a handwriting design. 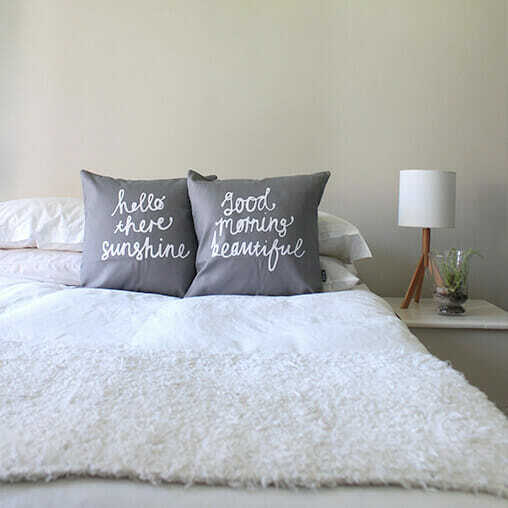 It is a great way to bring a little bit of cute fun into your bedroom. Both pillow covers (2) are included in this listing. Only cover, no cushion inners. Dimensions: 45cm x 45cm. 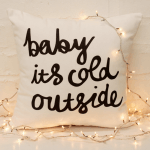 These cushions are printed in white onto a sturdy grey 100% Cotton Fabric. The Fabric is luxurious and keeps it shape. 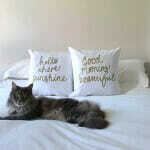 Listing: This listing is for the cushion covers only, please add an inners if you require one. The cushions fit a standard 45cm x 45cm inner.